E.On is to release a new smart home technology platform allowing households to aggregate the data and capacity of their electrical devices to manage their energy consumption and even trade it on the market. The solution is the result of a collaboration with Microsoft and will offer what E.On has called ‘the next step in smart home technology’. The energy management software will aim to bring together all smart technologies, including heating and cooling systems, PV installations, battery storage or chargers for electric vehicles, on a single platform. By offering a single dashboard to monitor and control all these energy resources, the Big Six supplier says it is offering households a single point of control for every unit for the first time. In addition, the ‘home controller’ will use artificial intelligence and Internet of Things (IoT) capabilities to learn users’ habits and predict their behaviour. This will enable it to utilise energy systems to suit when homeowners’ schedules or ensure that devices are used to optimise self-generated electricity. Furthermore, it will allow excess generation from a solar PV system or that stored in a battery system to be traded on the market if beneficial for the homeowner. Similarly, it will monitor wholesale prices to recognise when cheap renewable power is available from the grid, should the electricity produced within the home be insufficient. The energy company says it will be the first in Europe to offer this kind of solution. “Digitisation, Internet of Things and artificial intelligence provide us with new opportunities to offer customers increased efficiency and convenience. As a result of our collaboration with Microsoft, we are set to make a step change in the intelligent home sector,” said E.On board member Karsten Wildberger. Acutely aware of concerns over data protection, the vast amounts of information stored on each device will be protected by Microsoft Azure Sphere, Microsoft’s solution for securing devices connected to the internet. 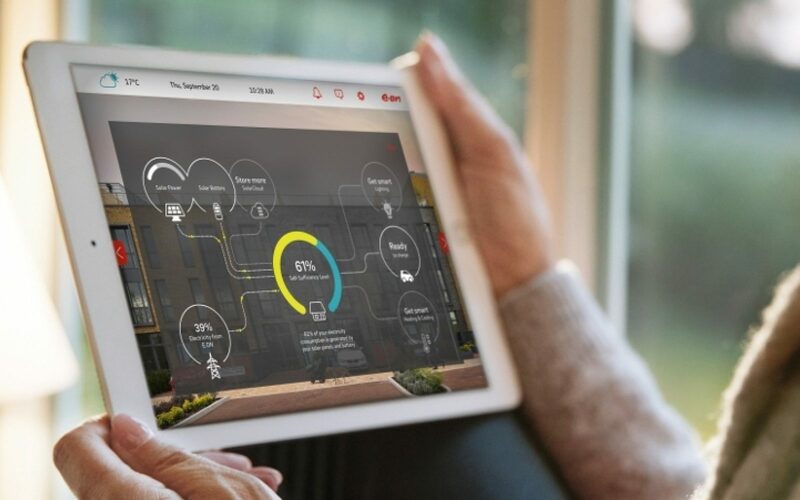 With the release of the home energy management solution planned for early 2019, E.On will hope to get out in front of its competitors in capturing value in the customer-side market. Currently, 40,000 smart home systems are sold in Europe every year but the company expects this to reach 200,000 by 2022. The likes of Amazon, Google and Centrica have all identified the sector as offering new opportunities as energy technologies become smarter and more relied upon by customers. In the UK, ‘Entech’ supplier OVO Energy has already established its intentions in this arena with what it claims to be the world’s first aggregation platform focused on residential loads. The company expects to use its VCharge platform to use technologies like demand response, energy storage, local renewable energy generation and particularly the electrification of transport and heat to create a virtual power plant that will play in the UK’s grid services market. 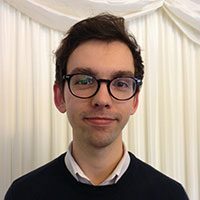 Speaking to Current± back in July, director of strategy Toby Ferenczi summed up the growing industry-wide move towards customer-side solutions. “There's a much greater role for homes and businesses to play in the energy system…they'll be much more flexible about how they can use [energy] and they'll be able to put it back into the grid at times of need, or store their energy,” he said.